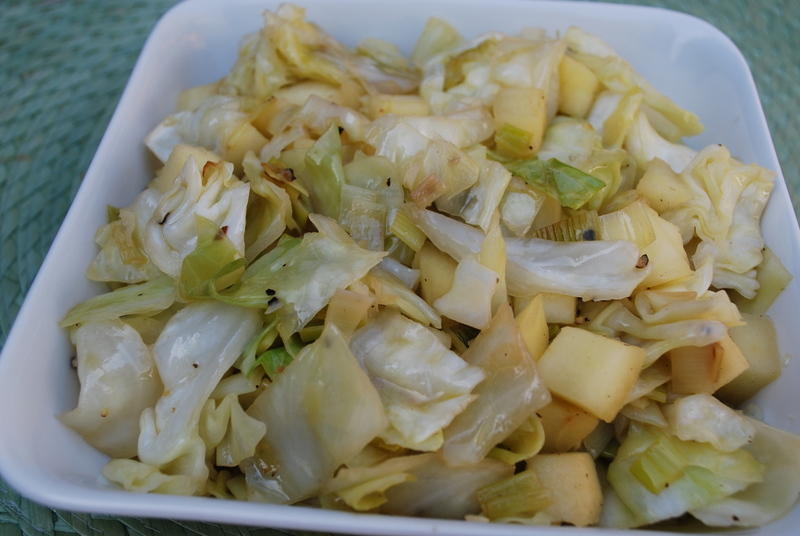 Sautéed Cabbage and Leeks with Apples | Time to Cook! I really like this dish. I agree that you should use less salt. I used red apples, because that’s all I had, but it added a little color, if you want color.